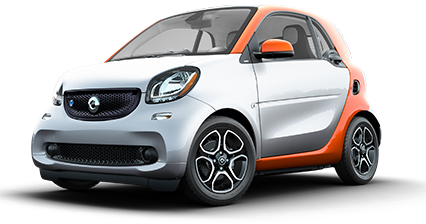 Compare all smart fortwo vehicles. See which smart is right for you. Agile, efficient, and fit for fun. Sporty, slick and loaded with extras. Aggressively designed for a laid back ride. Spacious where it matters most. 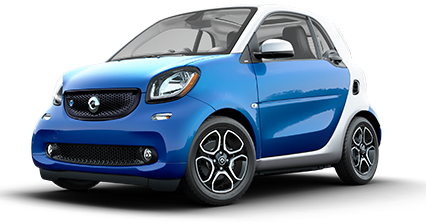 The smart fortwo was designed to act small, but feel big. By widening the base, we added stability and space, so when you sit in a smart, it has the feel of a sedan. It also features a twin-section tailgate, which facilitates loading and unloading, and provides maximum storage. Safety is in our bones. 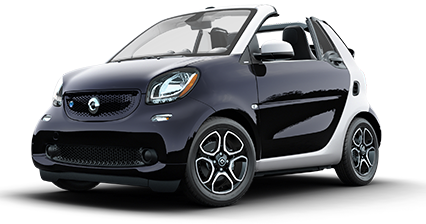 Engineered with Mercedes-Benz, every smart must meet the strongest industry standards. The patented Tridion Saftey Cell uses reinforced high-strength steel to act as a barrier between you and anything else on the road. Boasting a best-in class turning radius (22.8 ft), smart makes driving, parking and turning easier than ever. With a vehicle length of 8.8 feet, a width of 5.5 feet, and a Direct-Steer system with variable ratios, smart was designed specifically for urban traffic conditions, which make its unique handling abililty both fun and practical. 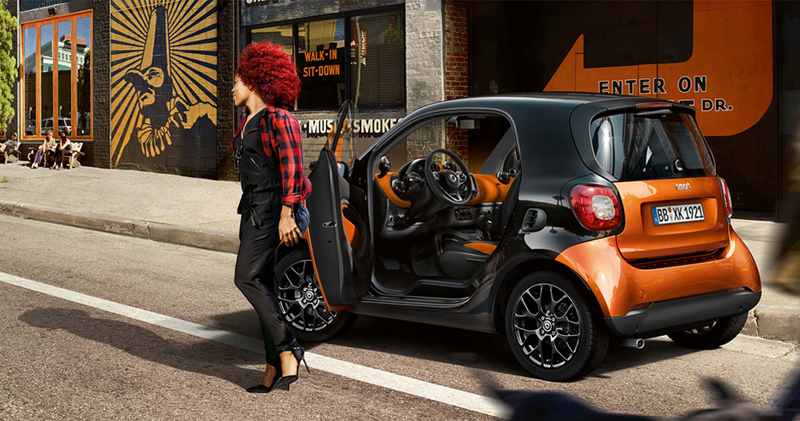 smart: built for the city. perfect for escaping it. 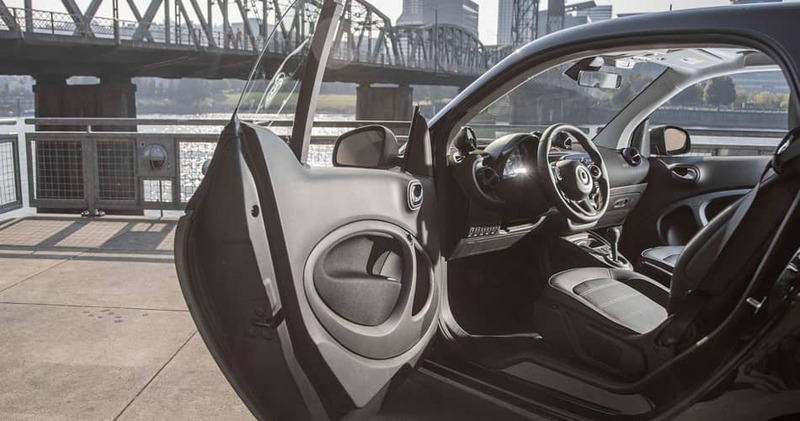 Thanks to its trendsetting design, clever solutions, innovative assistance systems, unparalleled turning circle and an amazing amount of free space, the smart fortwo has so much more of what you're looking for. And that makes driving even more enjoyable.